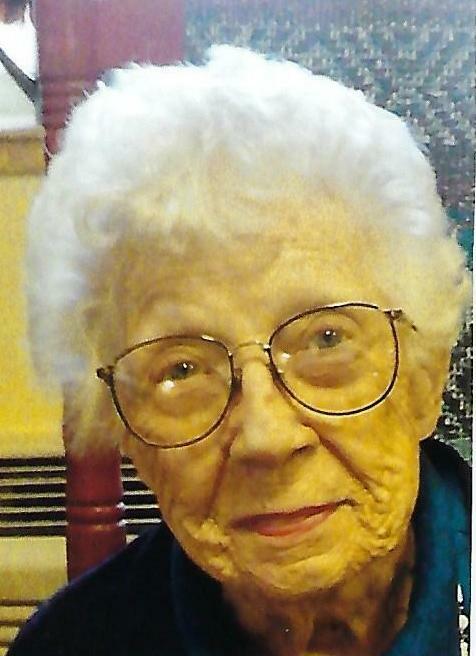 Dorothy Ann Winters, age 100 of Marion, passed away on Saturday, January 26, 2019 at Rolling Meadows Health & Rehabilitation in LaFontaine, Indiana. Dorothy was born in Alexandria Indiana on March 24, 1918 to David and Marie (Heritage) Crone. Dorothy was quite proud to have lived a wonderful life for over 100 years. Dorothy graduated from Gas City High School and attended Indiana University. Dorothy married Charles “Chuck” Winters on October 23, 1945. They had one son, David. Dorothy was a life long member of First United Methodist Church. She was also a long time member of the Elks Country Club. She is survived by her son, David and daughter-in-law, Barbara. She is also survived by her very special friends, Lois Gardner and Tiny Felver. Friends and family may call from 10:00 to 11:00 a.m. on Friday, February 8, 2019 at Raven-Choate Funeral Home, 1202 W. Kem Road, Marion, Indiana. Dorothy will be buried in Parkview Cemetery, Alexandria, Indiana with Pastor Matthew Trexler officiating immediately following the visitation. Dorothy truly lived by Proverbs 17:22. A happy heart is good medicine. A cheerful mind works healing.